When I was 14, my mom took my sisters and I to Build A Bear. I hadn't been there since I was a little girl, and I was actually very excited. I chose a frog with clover cheeks to stuff. I gave him two hearts and picked out an outfit that included khaki shorts. I named him Frogger, and he became my best friend. I don't remember being particularly close to a stuffed animal as a child. There was a pink duck I had, but I didn't have him long before he was left at a car dealership. So having a stuffed animal at an older age had a different kind of feel. I was going through a lot of transitions at the time- new school, home, friends, life. Being on the verge of teen years was stressful, and I never knew what was going to happen next. 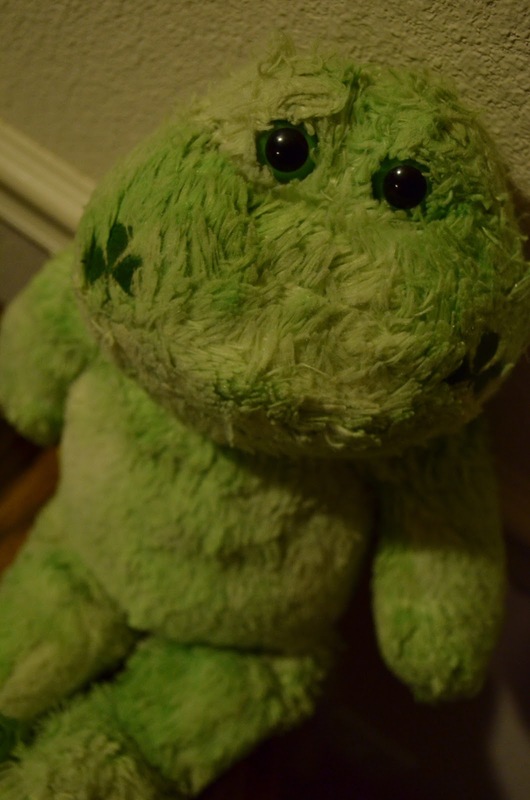 But I had Frogger there, who sat up on my bed when I left for school and was wrapped in my arms when I laid down for the night. Throughout high school I leaned on Frogger for comfort. Moving across the state was a HUGE change, and for once we were actually intent on staying in one place. I had a hard time fitting in with the few friends I had, and I would come home and cry all over him. We were attached to the hip, and even as I adjusted, he was still my go to for any troubles. Frogger joined me on road trips and overnights. He came with me to college and to my first apartment. He was nearly abandoned at my exes, and I cried harder for Frogger than I did for that jackass. He was the subject for my photography classes, and is still by my side today. I've had Frogger almost ten years now. He lost his clothes forever ago, and his leg is hanging on by half the stitches. His fur has gotten rough and his head is permanently titled from being bent under my snuggling cheek. His wear is signs of love, and he is someone I could never bear to part with. 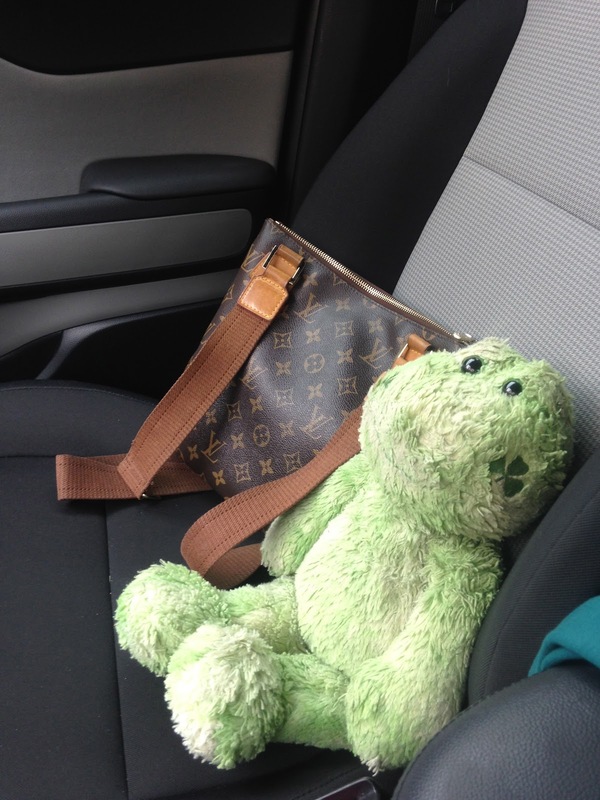 Frogger is my best friend, my confidant, my comfort. Frogger is so cute! Thank you for writing this it seriously made my day! Oh gosh! I'm not an emotional person, but this made me emotional. Damn! I now want to go to Build A Bear! I had never been there before I think. Loved to know there is someone out there who has deep emotions as I do for my dog Jocky ❤ Cute! Thanks you guys :) he's old but he's awesome! And thank you My Momma Bear Life for the nomination! Can't wait to read it! Love your blog!